Great look and rustic cabin feel. Bear paw with claws as well as great looking classic double switch design. Each light switch in your cabin will have that Wildlife feel. 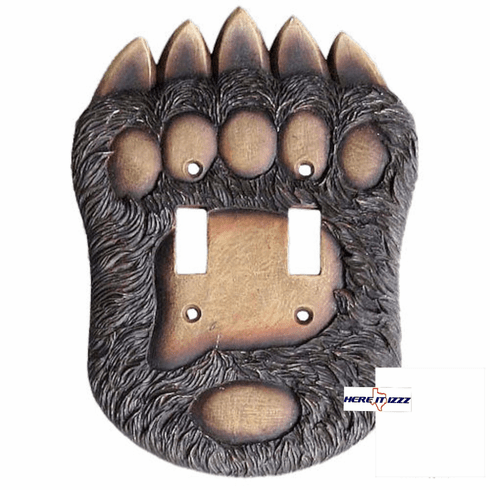 Bear Paw light switch cover comes complete with new mounting hardware for easy replacement.